The Principals’ Wellbeing Forum is delivered over a six-month period. 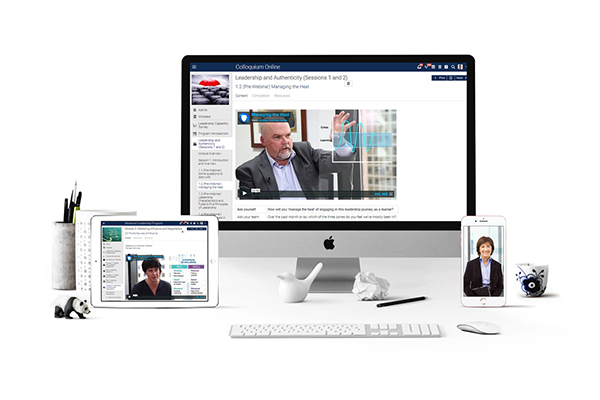 Every four weeks, school leaders convene for a highly interactive online conference using NESLI’s eLearning portal. Participants will form into smaller sub-groups for periodical conversations throughout the program. Additionally, a range of related activities will be available to participants to further support them in their wellbeing journey. Designed specifically for school leaders the Forum is sympathetic to the pressures and responsibility of school leadership and will not require a commitment of more than 2 hours per month. The Women’s MLP is an integrated development program that focuses on the critical dimensions of effective, collaborative leadership within the schooling context. The program employs an integrated learning methodology combining expert tuition, peer knowledge sharing, practical workplace application, and guided personal thought and reflection. The program is delivered part-time over five months to ensure participants have time to fully integrate their learning into their everyday practice. Developed in response to the excessive stress and duress faced by Australian educators, the Principals’ Wellbeing Forum supports principals to better understand and proactively manage their day to day health and wellbeing so as to be more effective role models within their schools. It is delivered online via a series of interactive discussions and related tasks. The program connects principals across schools and systems and is built around the concept of a supportive community of practice. Identifying stress triggers and their psychological and physical manifestations. The relationship between nutrition, stress tolerance and wellbeing. Managing mood altering foods such as caffeine and alcohol. The benefits of physical activity, nutrition and sleep for maintaining resilience. The various aspects of physical wellbeing – Getting appropriate exercise, reducing risk of disease and physical dysfunction, impact of physical environment (posture, ergonomics, movement, etc.). Spheres of influence and control. The relationship between personal vision and current reality. Understand the links between social capital and wellbeing. Explore practical strategies to enhance personal wellbeing. Understand how to have a meaningful dialogue around wellbeing in your school. Help increase social capital and inclusion in your school. Collaborate with other school leaders to discuss wellbeing across the sector. Find new ways to lead wellbeing conversations with your staff and students.